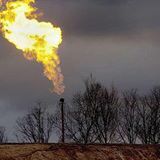 The Pennsylvania Alliance for Clean Water and Air has been monitoring and recording the harm to humans and animals since fracking began on the Marcellus Shale. The Alliance is constantly updating a List of the Harmed to highlight the damaging impacts of fracking on their communities. It is a chilling reminder of what could be coming our way.